I recently wrote about how the passage of Legge Crimi would dramatically change the modus operandi of Italian clubs when it came to working with a more balanced financial portfolio. However, as was and is infuriatingly predictable, there seems to be absolutely no movement in passing the law through the branches of the Italian parliament. Yet, a few clubs have announced their intention to renovate or rebuild a stadium. It seems in the absence of any forthcoming legal imperative, clubs have shown some welcomed initiative, and the success of their initiative has depended on the extent to which city councils have been willing to negotiate. For example, in the case of Juventus, the negotiations were swift, and the Turin city council sold the Stadio Delle Alpi to the club. Of course, given all the well-known problems of the Stadio Delle Alpi--discussed in part here--Juventus elected to level the stadium to build a new home. While Juventus still lead the way with their privately owned Juventus Arena, replete with commercial and merchandising opportunities, other clubs strive to follow to some degree the Bianconeri's model. Four clubs are in some stage of improving their habitat. Napoli: President Aurelio De Laurentiis has exhibited the most bravado. Before his club's trip to England to take on Manchester City in this season's Champions League, he disparaged his opponents by describing them as unconscientious spendthrifts. He also called on Michel Platini to be serious in applying the Financial Fair Play Rules. 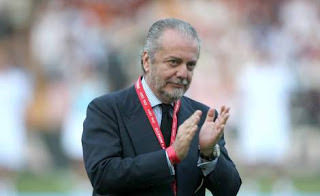 When he is not antagonizing, De Laurentiis is diligently working to make Napoli a force--on the field and financially. He has said that he will not bring down the Stadio San Paolo because of its history, but rather improve its existing state, and commercialize the surrounding areas. He plans on revitalizing the Fuorigrotta area, the site of the San Paolo, during the upcoming summer. This smaller initiative will contribute to De Laurentiis's broader plan, which includes, as Paolo Bandini tell us, "increasing the training pitches to seven, [and] the construction of living quarter for youngsters, as well as a school building where they can get help with their studies." Palermo: It is always wise to take what Palermo owner Maurizio Zamparini says with sacks and sacks of salt. However, even in his capricious universe, he seems serious about creating a brand new stadium for Palermo. During September of this year, he said that soon Palermo will unveil plans for a new 35,000 seat stadium. Of course, Zamparini has attempted to build a stadium during his ownership of Venezia as well but was thwarted by the typical bureaucratic problems. This one will be interesting to follow. Roma: President Thomas DiBenedetto arrived at the club with admirable enthusiasm, announcing that building a new stadium would be the priority. He had probably not accounted for the intransigence of Rome's city council. Since those claims, Roma have had to put those aspirations on hold until further notice, and they will have to be content with just trying to improve the matchday experience, which means increased commercial activity around the Stadio Olimpico. The track between the spectators and the stadium absolutely has to go. Not the unqualified revolution for which many were hoping, but it remains to be seen whether Roma will get some breathing room in the future to realize DiBenedetto's initial hope of a new stadium. If the temporary solution turns out to be the one that endures, it will be disappointing. 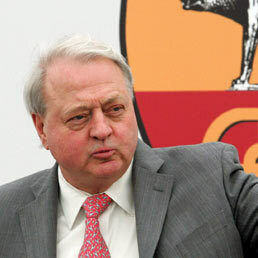 There were murmurs, however, that Roma could have a new stadium in three or four years. It all depends on the cooperation of the city council. Udinese: It is unclear whether president Giampaolo Pozzo has definitive plans to build a new stadium. Some say that there are improvements planned to the current stadium (with reduced capacity making way for better viewing). What is ambiguous is whether Udinese plan to own the Friuli (buying it from the city council), or if they plan only to work under the existing ownership. So the news is mixed. It appears stubborn city councils are still hindering clubs like Roma, but clubs like Napoli, buoyed also by their exploits in Europe this season, are planning big things. Meanwhile, Milan vice-president Adriano Gallian refuses to cheer up. He maintains that the feat Juventus have managed in building a new stadium cannot be achieved in Milan. "The most we can do," he maintains, "is improve the San Siro and make it suitable to host the Champions League Final." Not the ideal news for Milan fans who were hoping to rival Juventus with their own home. Nevertheless, as clubs wait for Legge Crimi, which may be far off in the future, a lot of work remains to be done, but clubs are taking some steps forward. This part 2 is just as good as the original piece, thanks again. But you see, your article just proves that if the money and desire are there - stadium's will be built. De Launrentiis might be an A-hole, but kudos to him for contributing to the rise of Serie A. I hope their project improves from now on and gives other top clubs incentives to invest and improve as well. Again, when it comes to Berlusconi, a person with his resources and influence can build whatever he wants. So, what's holding him back? Thanks for the comment. I have added a section in the article: "It seems in the absence of any forthcoming legal imperative, clubs have shown some welcomed initiative, and the success of their initiative has depended on the extent to which city councils have been willing to negotiate. For example, in the case of Juventus, the negotiations were swift, and the Turin city council sold the Stadio Delle Alpi to the club. Of course, given all the well-known problems of the Stadio Delle Alpi--discussed in part here--Juventus elected to level the stadium to build a new home." However, it seems dealing with the city council of Milan has been extremely difficult. As for what's holding Berlusconi back...all your points seem to have validity. It may be unwillingness as you suggest, and/or he--and lawmakers--may have their hands full with other more compelling issues (economy, Berlusconi's own personal scandals). It is sad to see how little Berlusconi has invested in the last few years (summer 2010 apart) when compared to the earlier years. A new stadium would see Milan be a bit more self-sufficient, helping the club deal with Financial Fair Play rules better.